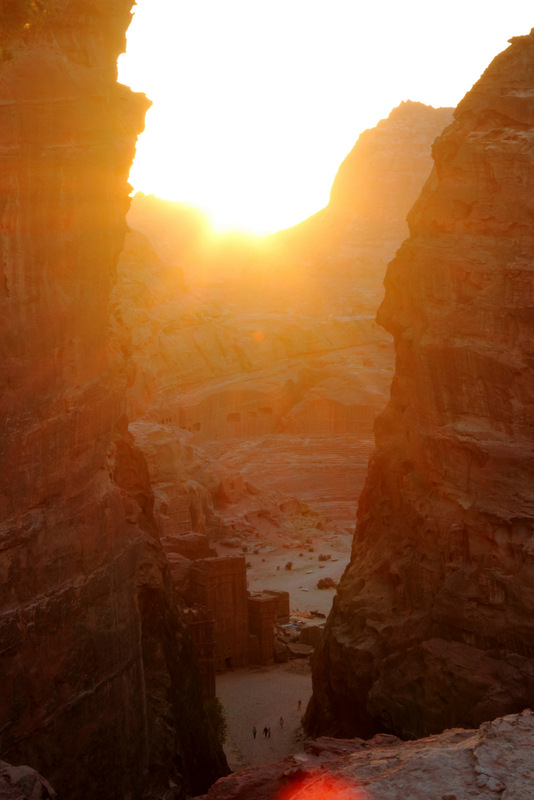 Petra; what superlatives haven’t been used to describe this amazing place. Voted one of the New Seven Wonders of the World it most certainly deserves this title and captures the imagination of all those fortunate to have visited. 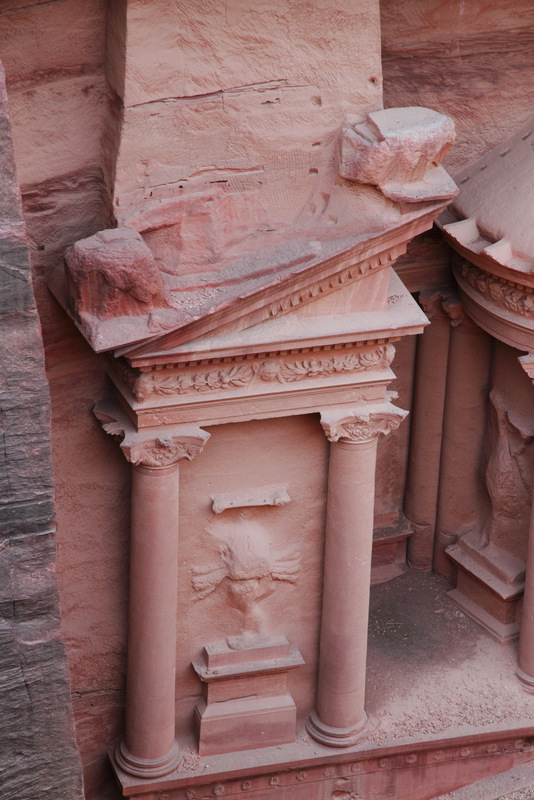 Perhaps best known by it’s most famous Monument, the Treasury, most people first glance upon this awe inspiring site after having walked through the almost secret passage like entrance of The Siq. 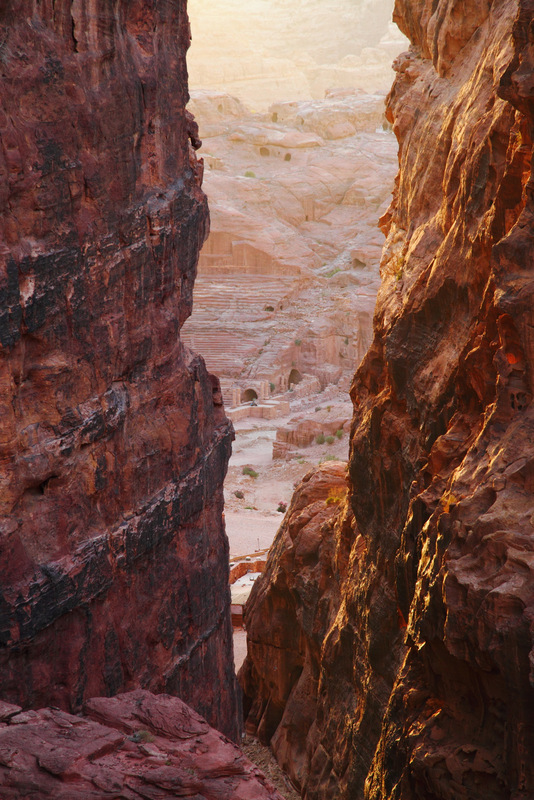 After rounding a bend in the canyon they catch a glimpse of the ornately carved details of the facade, beckoning the adventurer to rush forward, the towering walls of The Siq giving way to reveal Treasury in all it’s glory. Recently I had the opportunity to see Treasury from another perspective. A friend was visiting for a few days and a chance encounter in town with a couple of Atef’s cousins, one of whom is a tour guide, saw us tagging along on a guided tour with a difference. Setting off in the late afternoon, our exploration party of 4 started our journey not at the entrance to The Siq, instead on a backroad into Petra. 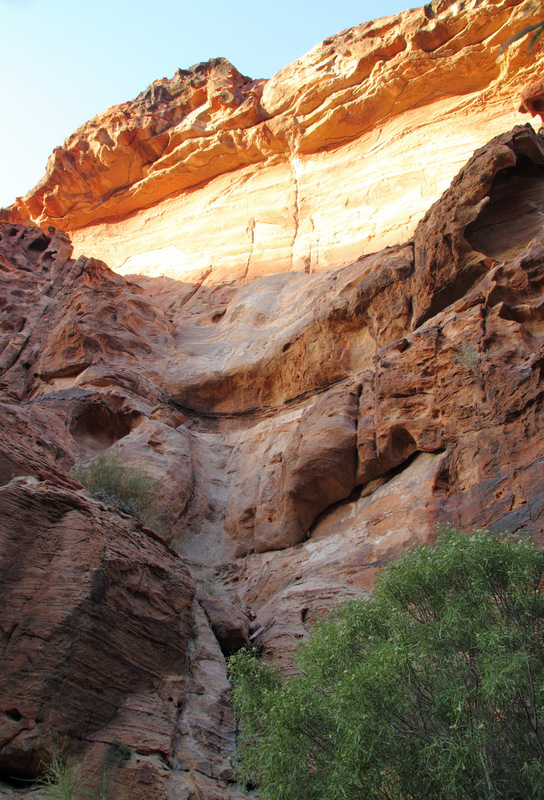 We hiked through an open valley until we reached the top of a small canyon. 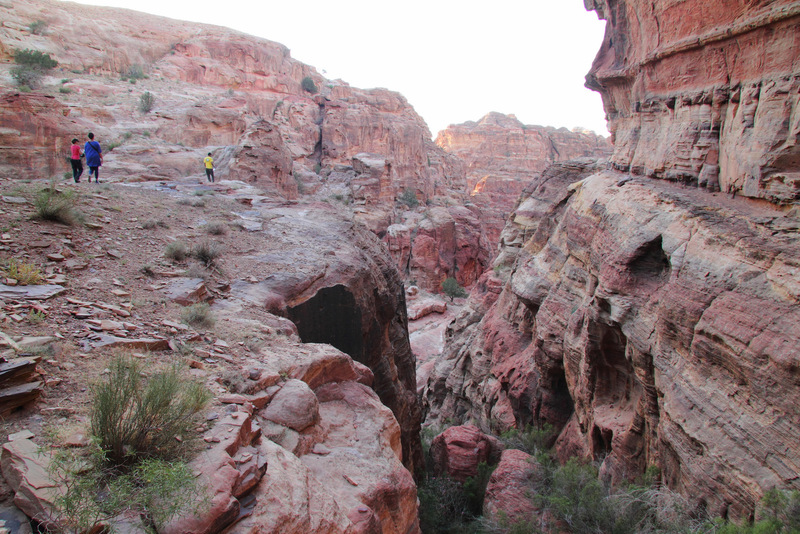 Descending into this canyon was our entrance into Petra. 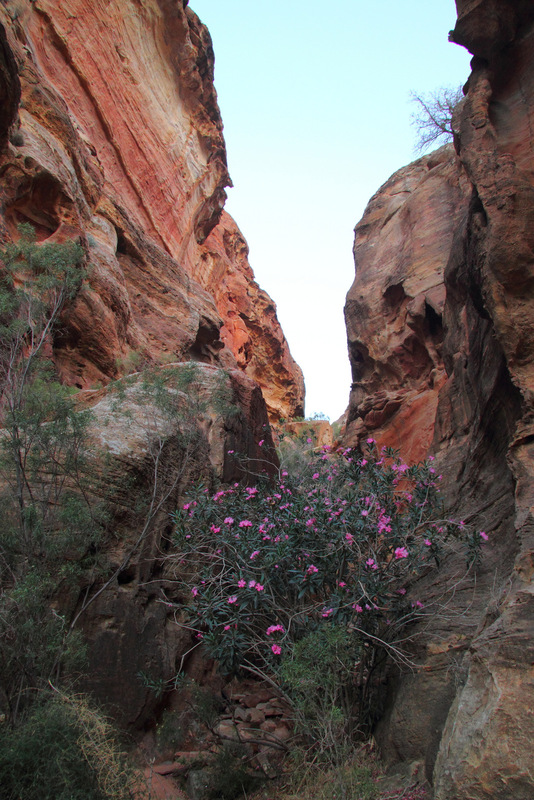 The golden light of the late afternoon sun painting the rocks and saturating their hues of red, pink, purple, gold, bronze and orange. 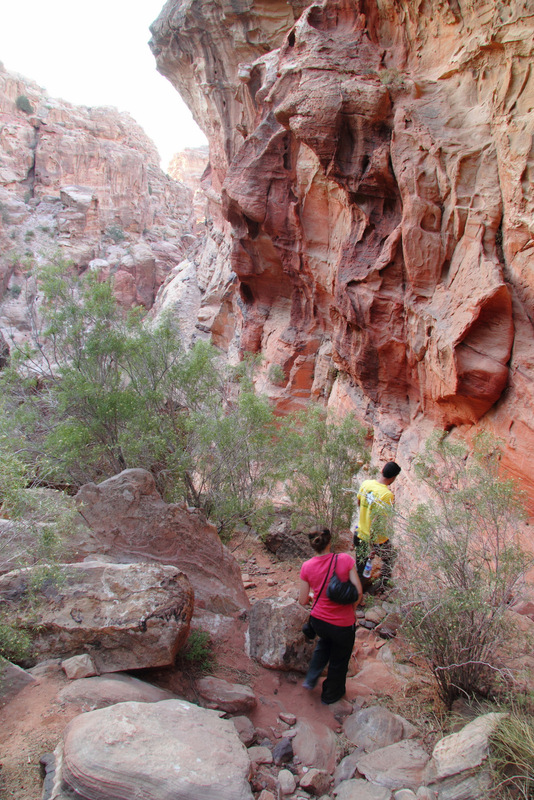 Deeper into the Canyon we descended. Nature wasn’t the only sculptor that we saw evidence of. 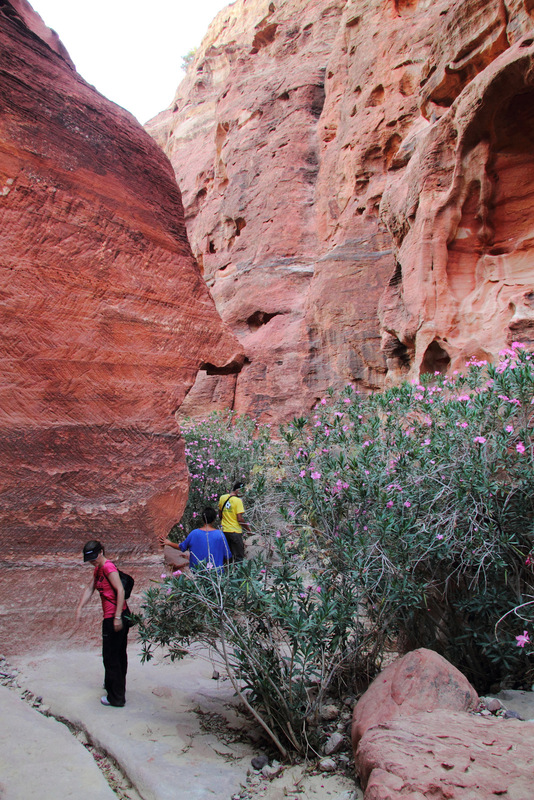 Throughout our hike there were reminders of the great Nabataean civilization from caves, tombs, votive niches, rock carved stairways, and engineering efforts to capture and divert water. 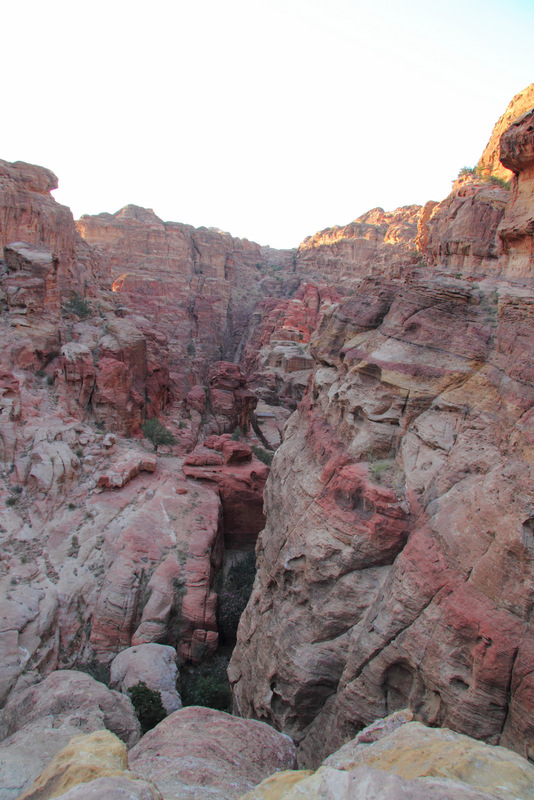 Just when I wondered how much further into the canyon we were heading we reached our view point. Treasury appeared at our feet as we stood on the cliff face high above the valley floor below. 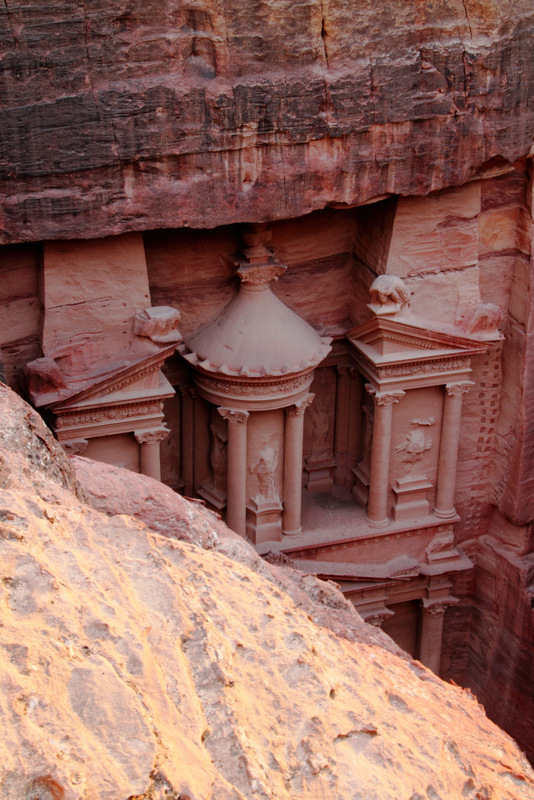 It was a unique and different perspective to admire the details and marvel at the grandeur of the Nabataeans skills. 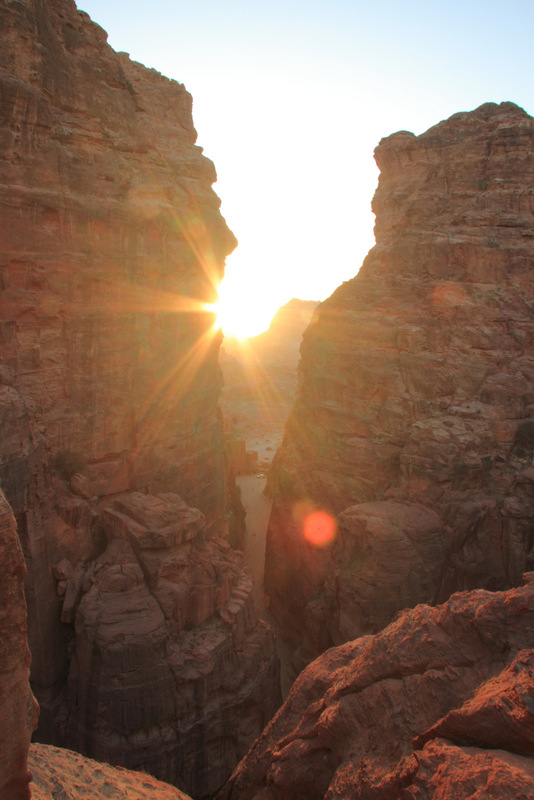 The setting sun provided the opportunity of capturing the sun rays through the steep cliff walls. Looking through to the Street of Facades and the theatre. 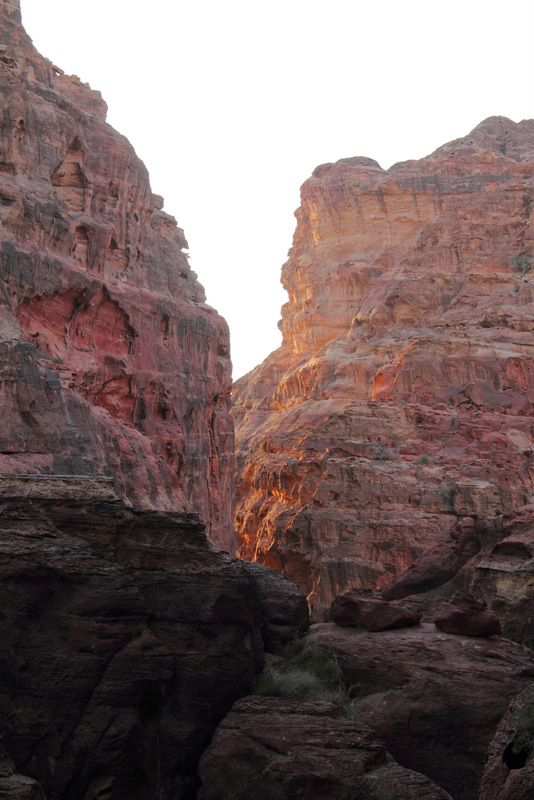 With the light fading we made our way back up the canyon to our pick up point. The colours of the setting sun and the descending darkness contrasted against the deepening shadows the mountains. 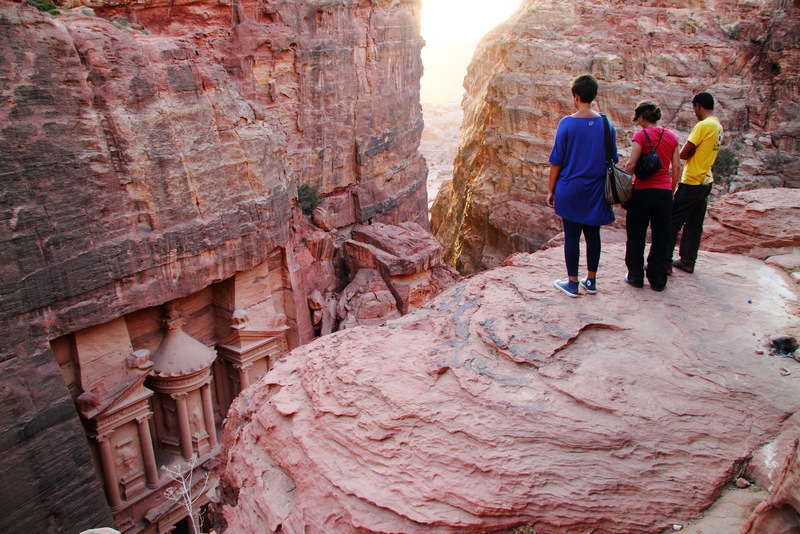 If you ever find yourself with the fantastic opportunity to visit Petra do yourself a favour and don’t just come for 1-2 of days. 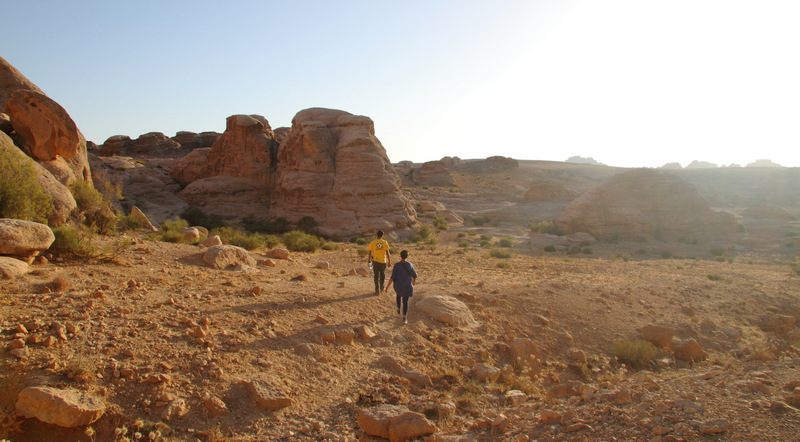 Spend 3 or 4 days exploring the site as there is so much to see and some fantastic treks, with the help of a guide, are possible for those who are willing to find themselves off the beaten track. 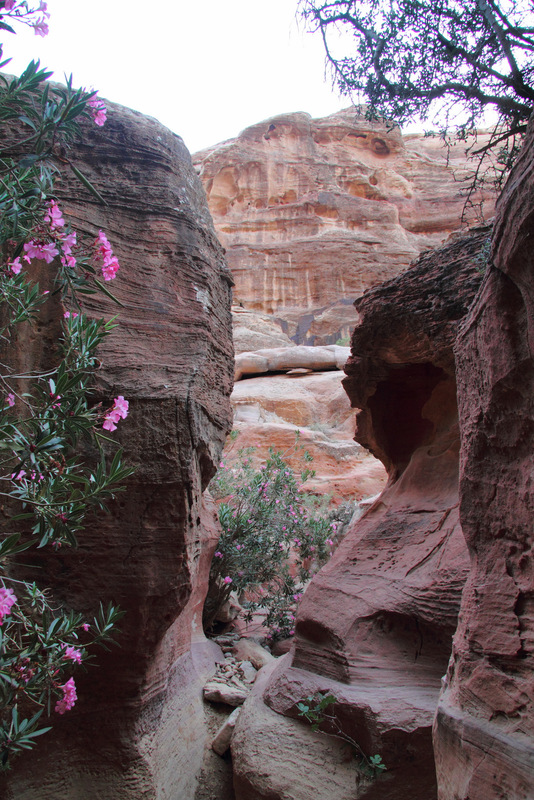 You will be rewarded with unique views and perspectives of Petra far beyond the pictures that you see in postcards and books. ← When the weather goes wild. Hi MEM. 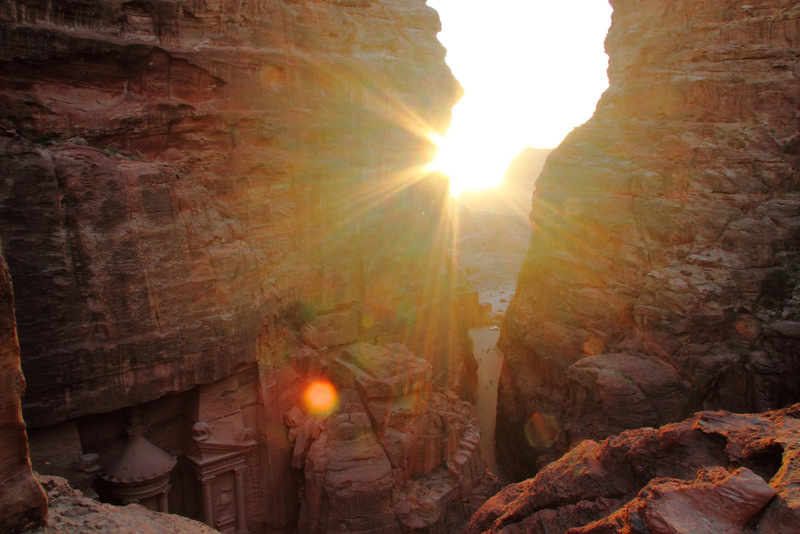 Hope you saw my Petra post of last week. Did not get chance to go on the back routes. But another time inshallah. Pretty. I want to get on that cliff by the treasury next time I go! Oh I will definitely be back there many more times. ..My bf is from Jordan (but with me in the US) and we plan to get married. So we will def be going back there every so often. Oh Andrea . . . thank you so much for those magnificent photos: scrolling down I really did not expect to come upon the Treasury in the same thus manner! 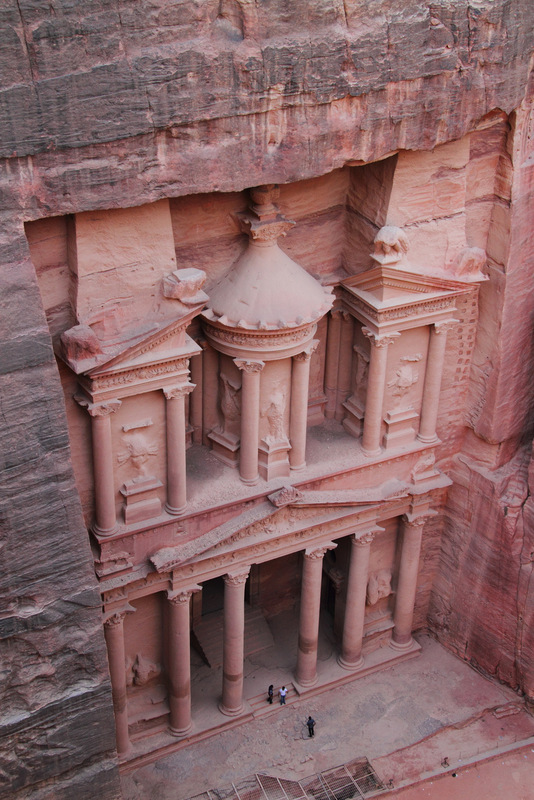 You probably realize Petra is just about on the top of my bucket list!!!! Have to repost as soon as able! Thank you!!!! 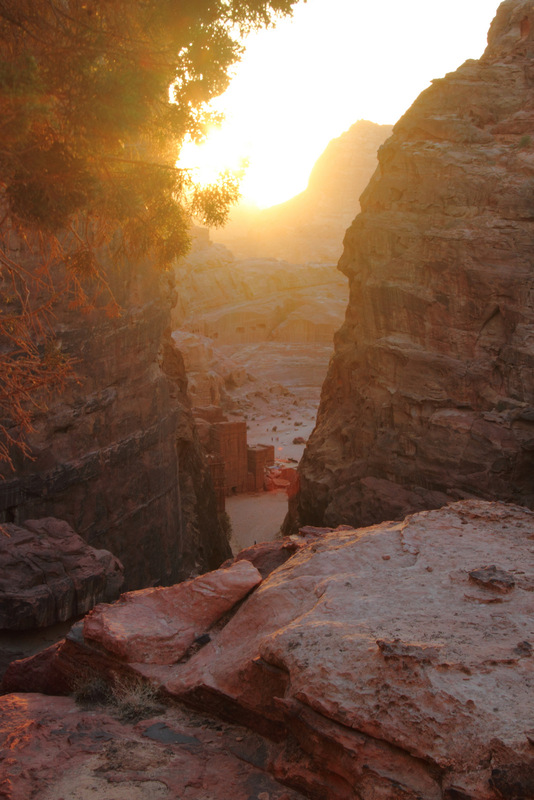 yes even it is more beautiful than it is described.. we are based and living there and we are spreading our arabic language from here from the huge Nabatean city. 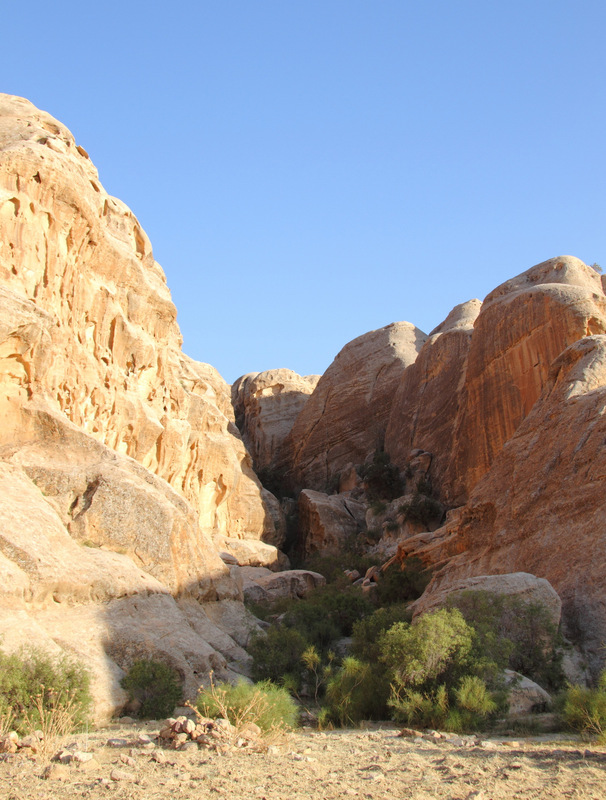 What the great words wrote about our city Petra – Wadi Musa! 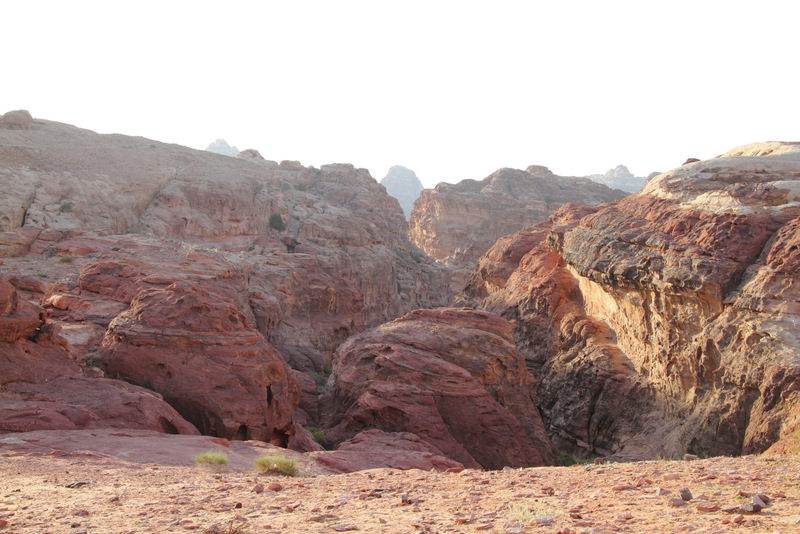 Wow, that is definitely somewhere l will be putting on my bucket list for hiking! Great photos too, it looks like you’ve really captured the spirit of the place! WOW! kind of speechless. 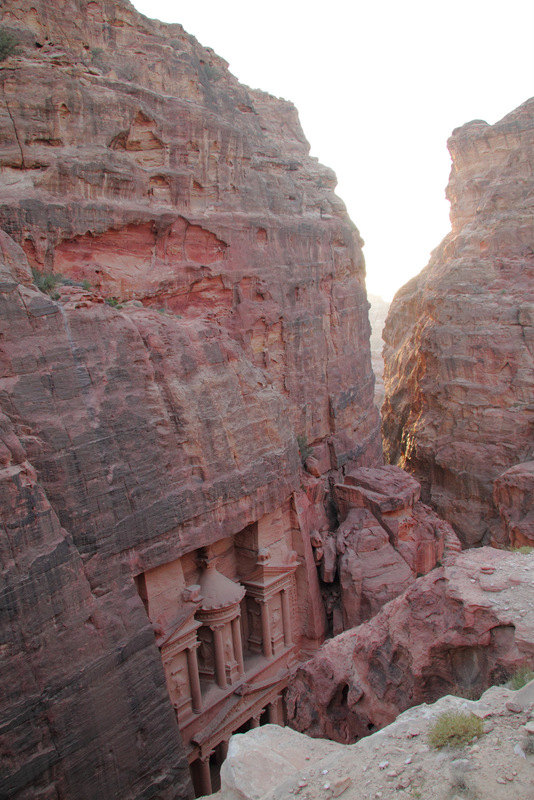 I was not familiar at all with Petra and the images are spectacular. 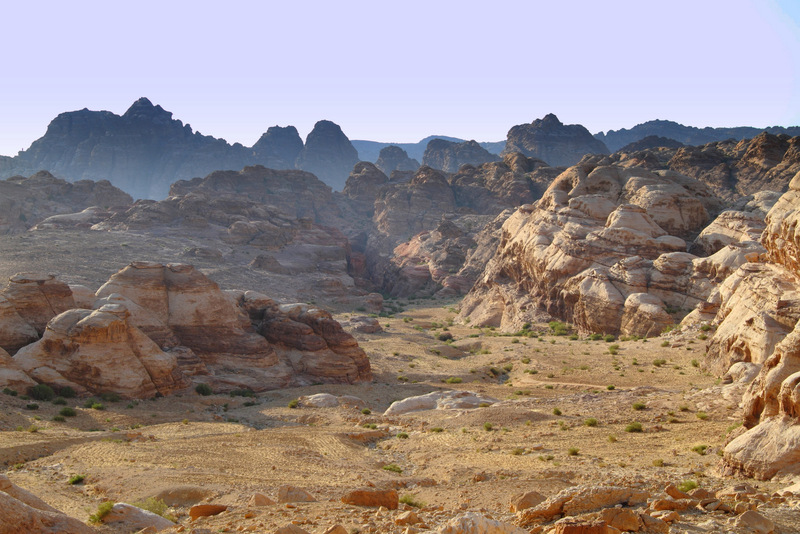 One day you will have to come and visit Jordan just as I will have to visit Iran! You would love it! Oh, wouldn’t that be lovely! It brings me joy imagining those scenarios! Ensh’allah! Beautiful. I want to go back and take that hike. Hello there. 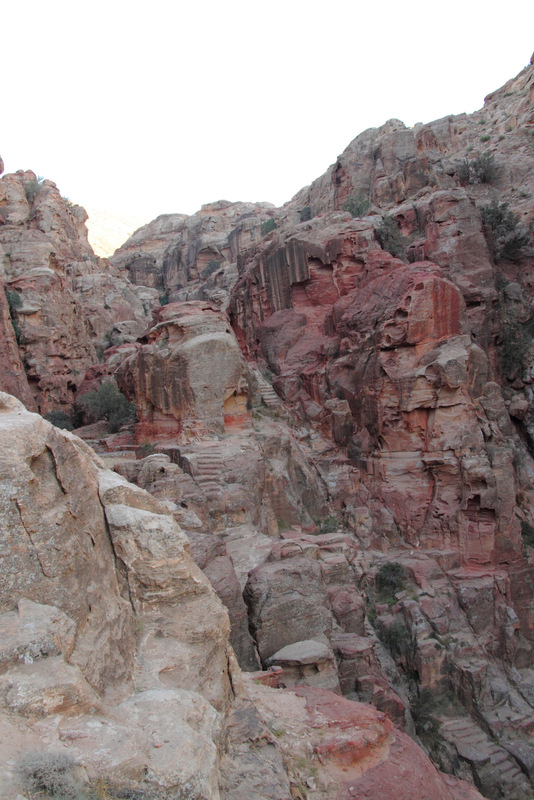 There are lots of off the beaten tracks to explore in Petra – this is just one of them. 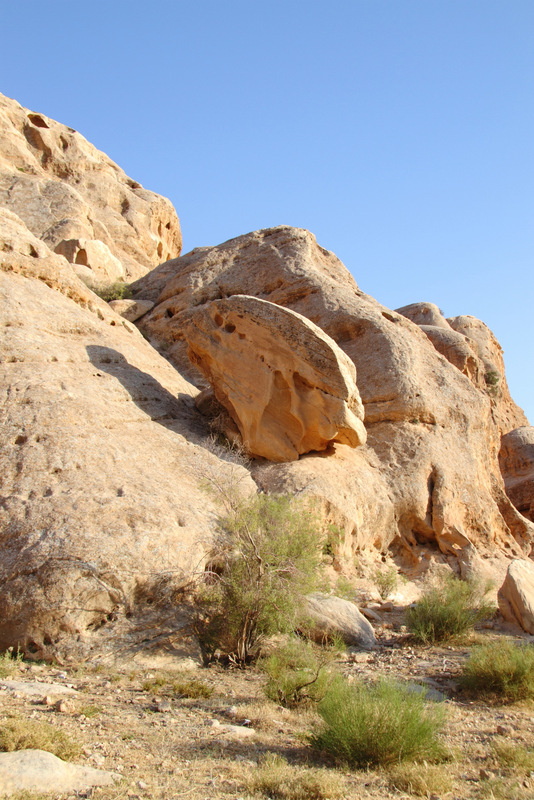 Others to consider are trekking to the top of Jebel Haroun, exploring Wadi Sabratha which there is another Roman amphitheater, and if you haven’t done it the walk from Little Petra to Petra is also really worthwhile. If you want a guide let me know and I can get you a really great guide. 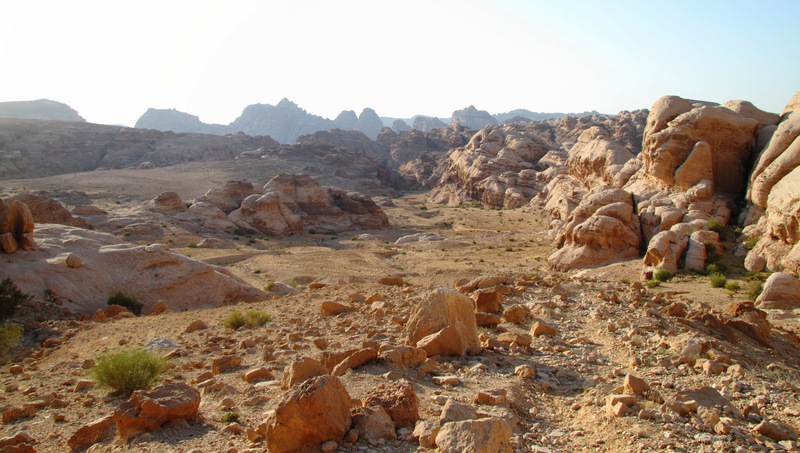 The walk from Dana to Petra is also magnificent but depending on how much walking you want to do is anywhere between 3-5 days as you can do some sections by jeep.